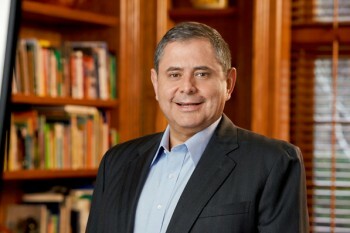 A fully engaged venture capitalist, the Peruvian-born Yépez attended Lima’s Universidad Nacional de Ingeniería where he studied electronic engineering. Afterwards, he studied electronic physics, computer science, and computer engineering at the University of San Francisco on a scholarship. After selling his cybersecurity company, enCommerce, Yépez emerged as an IT leader and focused his efforts on investing in other blossoming security companies. Aside from working at venture capital giant Trident Capital, Yépez was also affiliated with Warburg Pincus and Bain Capital, where he served as a board member and executive in their portfolio businesses. But Yépez never forgot his beginnings, and he now passionately strives to increase diversity within the IT sector and beyond. Recruited immediately after college in 1986, Yépez worked for 10 years in Apple’s internal IT, product development, and business development departments. With his multiple contributions and leadership potential in mind, Apple senior management sponsored Yépez to attend the Executive Development Program at Northwestern University’s Kellogg School of Management. An entrepreneur at heart, he left Apple in 1995 to start enCommerce, an information security company, in the wake of the Internet explosion, which grew and was sold at a handsome profit to Entrust in 2000. He continued with Entrust for about a year, leaving to focus on the cybersecurity space within the private equity and venture capital markets. After exploring opportunities for consolidation in the security market with Warburg Pincus, Yépez was recruited by Bain Capital to serve as executive chairman and eventually CEO of Thor Technologies. Shortly thereafter, Trident Capital led the second round of investment in Thor, building a leading player in identity management. Oracle acquired Thor at the end of 2005, Yépez joined Trident Capital in 2008 as a venture consultant, and later rose to his current position. Yépez’s vigor permeates when he says, “What I do is a great platform. I’m very excited because I have an opportunity to make the world a safer place.” He does indeed deliver on his eagerness; at Trident Capital, Yépez co-leads cybersecurity investments and has had a seat on seven of their boards of directors. Throughout its history, Trident Capital has made 18 investments, 13 of which produced a four-fold return. Given his top-shelf skill set, various financial institutions and government agencies—including the US Department of Defense and its DeVinCI Program—regularly seek his know-how. Turning to his passion of helping other Hispanics rise to his level, Yépez stresses that “cybersecurity is a global market with lots of open, high-paying jobs requiring diversity and an understanding of broad issues.” Facing unique Internet security challenges in their respective countries, Latinos have keen insights into addressing cybersecurity issues. For this reason, at Yépez’s urging, Trident invested in Spanish company AlienVault. AlienVault provides what Yépez believes the market needs: simple, complete, quality, and affordable solutions that leverage the global community in establishing an open threat intelligence exchange for everyone’s benefit. Trident relocated AlienVault to the United States, bringing the company’s unique business plan onto the world’s stage while increasing AlienVault’s employee count from 30 to 250 in 2015. Admittedly, cybersecurity, and IT in general, is a nascent industry within the Hispanic community, but Yépez constantly pushes for more representation, specifically when it comes to industry leaders and venture capital. As chairman of the Hispanic IT Executive Council (HITEC) for the past seven years, Yépez drives HITEC’s strategy and commitment to giving back. Yépez is vocal about increasing minority partners and entrepreneurs in the National Venture Capital Association. Aside from these high-impact organizations, he stands by Business Executives for National Security, Endeavor Global, and the World Economic Forum.